More than 70 people participated in Cooper Institute's third annual Social Justice Symposium in honour of Father Andrew Macdonald, held on March 11, 2017 at the Milton Community Hall. Dr. Nettie Wiebe was the guest speaker. While it's generally understood that climate change, due to elevated temperatures, drought and extreme weather events, has an impact on food production, the opposite is also true. That is, our current global food system – the way that we produce, distribute, trade and consume food – is a significant contributor to climate change. The social justice symposium offered an opportunity to consider this paradox. What do we need to do, in a changing climate, to reconfigure our food system to make it more sustainable, and to ensure that everybody has access to enough food? Dr. Wiebe inspired the crowd with her presentation, clearly defining the inherent contradictions in our current global food system, and raising possibilities for a system based on strengthening and forging relationships, and new understanding of and respect for the natural world of which we are a part. Nettie Wiebe farms near Delisle, Saskatchewan, growing organic grains and pulse crops, and raising cattle. She served in elected leadership positions of the National Farmers Union for ten years and was the first woman to lead a national farm organization in Canada. 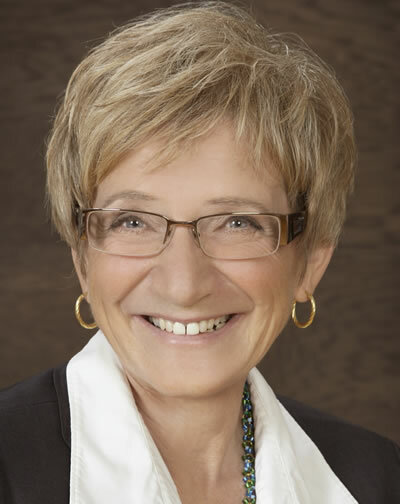 She recently retired from teaching ethics at St. Andrews College, University of Saskatchewan. Dr. Wiebe is an active participant in public discourse on sustainable agriculture and rural communities, trade agreements, women’s equality, human rights, peace, economic and environmental issues and food sovereignty. Her recent publications include co-editing two volumes on food sovereignty and several articles about changing farmland ownership in Canada.